Yad Vashem marked International Holocaust Remembrance Day – Sunday, Jan. 27 – by opening a new display, “Gathering the Fragments – Behind the Scenes of the Campaign to Rescue Personal Items from the Holocaust.” The exhibit examines the process of collection, research, registration and digitization performed in the framework of the nationwide project to rescue personal Holocaust-related items. The opening event was attended by Holocaust survivors whose personal items are displayed in the exhibition. Since the “Gathering the Fragments” campaign began about two years ago, some 71,000 items have been donated to Yad Vashem, according to the Avner Shalev, Yad Vashem chairman. Only a few of these items are displayed in the exhibition. This campaign changes a personal or private meaning into a collective meaning, said Estee Yaari, foreign media liaison of Yad Vashem’s Marketing Communications & Media Relations Department during a recent tour of the Jerusalem museum. Yad Vashem, in cooperation with the National Heritage Program at the Prime Minister’s Office, the Ministry of Education and the Ministry for Senior Citizens, launched the “Gathering the Fragments” campaign in 2011. Since then, a great variety of documents, certificates, diaries, photographs, artifacts and artworks from the Holocaust era that were in the homes of private individuals in Israel have been given to Yad Vashem for safekeeping. Yad Vashem is still collecting original documentation and artifacts from the prewar, Holocaust and immediate postwar period to submit them to the museum for safekeeping. They will be added to the Yad Vashem collection, conserved, cataloged and digitized for easy universal access. To learn more about donating items, email collect@yadvashem.org.il. Those who haven’t been in Israel since 2005 should be ready for a whole new experience. The new Yad Vashem Holocaust History Museum opened in March of that year and the new facility reflects the many changes that have occurred in society since the Knesset established the museum in 1953, said Yaari. The new museum is four times larger, uses more technology and shifts the focus from German archives to survivors’ points of view. There are nine galleries and many include videos of survivors’ testimonies. When the museum first opened, many survivors were not yet comfortable sharing their experiences, Yaari explained. 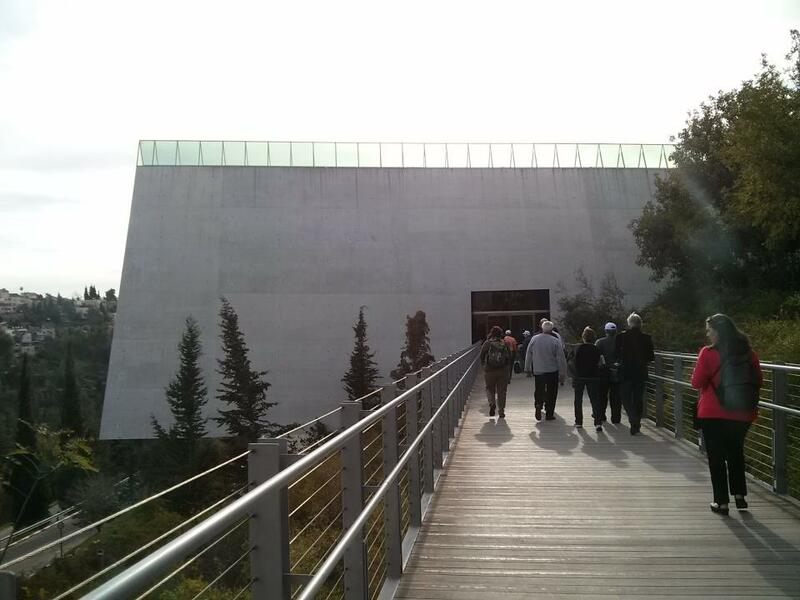 According to the museum, about 1 million people visit Yad Vashem from all over the world each year, the most of any tourist destination in the country. This article first appeared on the Phoenix Jewish News blog.